Carpa Olivera Ocean-fed Pool Positions Mazatlán Among World’s Elite | ¡VidaMaz! The renovation to Mazatlán’s historic Carpa Olivera—the ocean-fed public swimming pool in Olas Altas—positions the destination among a very elite group of cities worldwide with scenic ocean-fed swimming pools. Most such pools are steeped in history, as is ours, built in 1914 by Chilean chef Antonio Olivera, but most of them are NOT free of charge and open to the public, as ours is. The Bondi Baths in Australia, for example, have been around for over 100 years. Costing $6.50/person or $18/family to enter, Bondi hosts swim clubs, oceanside yoga, a gym and restaurant. Its facilities are also a gorgeous location for weddings and events. From where I sit, Bondi looks better than Carpa Olivera. But, Australia is quite a ways away! Ocean water pools are quite popular down under. 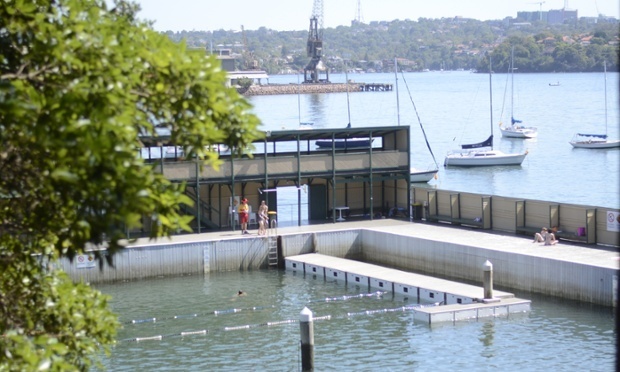 In addition to the Bondi Baths, Sydney has quite a few ocean water swimming pools, and Balmain harbor is home to Australia’s oldest tidal-fed swimming pool, the Dawn Fraser Baths, built in the 1880s. Dawn Fraser offers a snack shop and hot showers. I’m confident Carpa Olivera’s showers won’t have hot water. But, then, we don’t really need it, either—especially not in the summer. It’s said that New South Wales has over 100 ocean-fed pools. A humpback whale was even found dead in one of the pools in Sydney; see the video below. Outside of Australia, however, ocean water pools are few and far between. That’s what makes Carpa Olivera so unique—a touristic feature we should tout loudly! 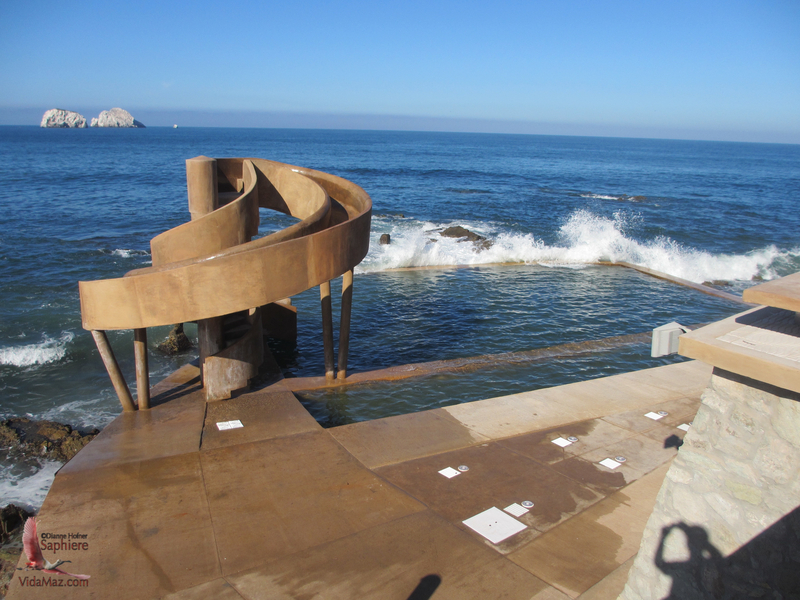 The Carpa Olivera restoration, in my opinion, puts Mazatlán ahead of leading tourist destinations such as San Francisco—where I’ve long wondered why someone doesn’t restore the historic Sutro baths, and Honolulu—where the Waikiki Natatorium remains a ruin. Especially a shame, since the natatorium was built as a war memorial in 1927! Click on a photo below to enlarge it or view a slideshow. England has a long tradition of sea-fed swimming pools; my guess is they probably gave the idea to the Aussies who then ran, er, swam with it. The community-supported Shoalstone Pool near Devon, England, built in 1896, remains a gorgeous place—and entry is free! 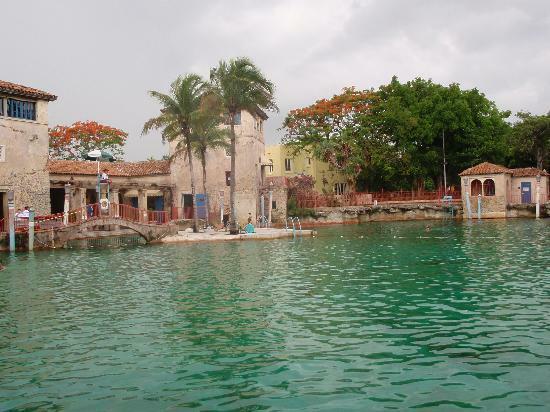 Just like Carpa Olivera, its water is refreshed every time there’s a high tide. There’s also the Sea Pool at Bude, built under the cliffs on the north Cornwall coast in the 1930s. The tidal pool outside the fortress city of Saint-Malo, France, is home to the largest tides in Europe—26 feet between high and low tides! At high tide, only the dive platform of the pool is visible, but at low tide, the entire swimming pool emerges. It was built in 1937, and is covered with algae much like Carpa Olivera was before the new remodel. They say that Chef Olivera got the idea for building Carpa Olivera here in Mazatlán after seeing similar pools in Portugal. Perhaps he had visited the natural lava pools in the Azores, on Bizcoitos, Terceira Island? Or maybe he fell in love with Doca do Cavacas in Madeira? Capetown, South Africa, also has an ocean water pool with a killer view, though the water is pumped in rather than tidal fed. It’s called Sea Point Swimming Pool., and they bill it as “the most breathtaking public swimming pool in the world.” I beg to differ, as I much prefer Mazatlán’s Carpa Olivera view and more natural, rustic nature. My favorite seawater pool is perhaps the Blue Lagoon in Reykjavík, with its thermal waters and killer views. It is, however, more of a spa than a swimming pool, and costs minimum 35 Euros to get in. Of course, you can pay extra to get a massage, facial, sauna, etc. 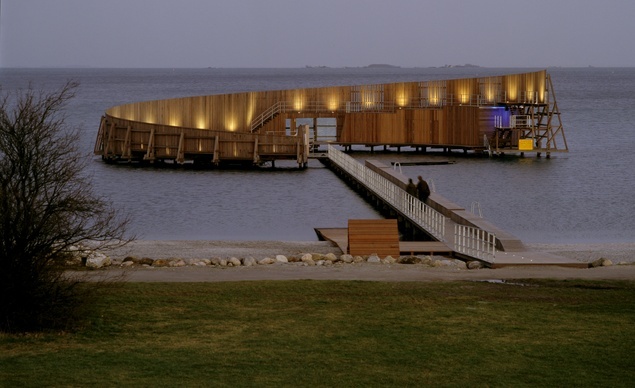 Copenhagen has the Kastrup Sea Bath, which looks more like diving boards and interesting architecture in the ocean, rather than a swimming pool. Canada has a couple of ocean water swimming pools, including Kitsilano Pool in Vancouver and another in New Brunswick’s Fundy National Park. Both are filled with ocean water, but rather than being fed naturally by the tide, the water is pumped in. Coral Gables, Florida has the very cool public pool, the Venetian, built in a coral rock quarry. It’s been around since 1923, but it is filled from an aquifer rather than from the ocean. Have you visited a cool ocean-fed pool? Share with us your favorite! How did I end up researching ocean-fed pools this May Day? Well, back in December we told you about several exciting, high-profile development plans for Mazatlán. We’ve recently heard from several sources that the renovation of the historic (built in 1916) balneario/ocean water swimming pool in Olas Altas—called Carpa Olivera—is scheduled to open in May. That is in plenty of time for the summer enjoyment of local and national tourist families! Ahead of schedule, really. Could it be true? Having photographed Carpa Olivera just four short months ago when it was completely torn apart (see photos below), and knowing how many projects in town are so often chronically behind schedule and over budget (are we EVER going to see a new shark tank? ), I wondered whether such good news could really be factual. The construction is hidden behind large tarps/lonas, and we don’t often walk along that portion of the malecón, so we didn’t know. Today after we hiked the lighthouse we decided to check out progress, and the workers kindly gave us a tour. Progress is incredible! And, I’m very pleased to report that reality closely parallels, for a change, architectural renderings! The view from the top level over the pool and out to the bay is incredible. That top terrace is lined with benches, so it’s sure to become a popular resting spot for families enjoying the views from our oceanside promenade. A second level down towards the ocean includes another large terrace and a snack shop, while the ocean level houses the bathrooms, water fountains for playing, the water slide, and the pools. The wood on the walkways and ramp as pictured in the renderings appears to have been changed to decorative/3-dimensional concrete, which seems much smarter to me. Today, workers were chipping away at hardened concrete to give walkways traction/make them less slippery, as well as to give them more visual appeal. The ramps make the pool area completely wheelchair accessible, though of course if I were physically challenged I wouldn’t want to get into the pool itself. It’ll be nice for accompanying one’s family and friends, however. The cool-looking spiral water slide is in place, as it has been for some time. It is still missing the fountain that goes on top. With the high waves coming in this morning, the pool looked very exciting, indeed! It has been refaced, so is much cleaner and more appealing than it used to be. The ocean splashes most of the lower level terrace at high tide or in rough waters, so bathers will still need to be attentive. But, that’s part of the attraction of an ocean-fed public pool! Click on any photo to enlarge it or view a slide show. Bathrooms are fully plumbed, tiled, and nearly ready to go. The modern, molded concrete sinks are in place; toilets and faucets have yet to be installed. One worry: there is only one toilet stall and one shower nozzle in each of the bathrooms, men’s and women’s—woefully inadequate for the amount of use the place will surely get. The walls that are finished have a much lighter rock face than in the architectural drawings (see the photo above of the snack bar). I don’t like it nearly as much. The walls along the ramp and terraces have not been finished, so it wasn’t clear to us if they will have a darker/richer rock facing of the type we’ve been expecting; we sure hope so, as it would add so much visual appeal to the facility. My guess is the facing will be identical to what’s already been installed. Improvements like the new and improved Carpa Olivera make me proud of our city and the current administration. The renovations are coming in on time and on budget, as far as I know. We asked the workers if entrance to the pools would be free or if there would be a fee, but they didn’t know the answer, and I have yet to ask someone who’d know. Whether there’s a fee, or whether it’s free, Carpa Olivera puts Mazatlán front and center as home to one of the world’s most scenic and exciting ocean-fed swimming pools! Link to the history of Carpa Olivera pool. Link to a Noroeste article on the inauguration of the renovation on June 29, 2015. 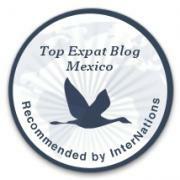 — This post is part of the #MyGlobalLife linkup. Very nicely written and thoroughly researched. Thanks for reading, Gregg! I’ve traveled quite a bit, and the tidal pool is pretty unique… Saludos! Great job writing this. I would like to talk to you either by e-mail or phone. Hi Diane As an old Aussie thanks for the great story n the tidal pools. Those pools were part of my childhood, a whole culture not generally known. 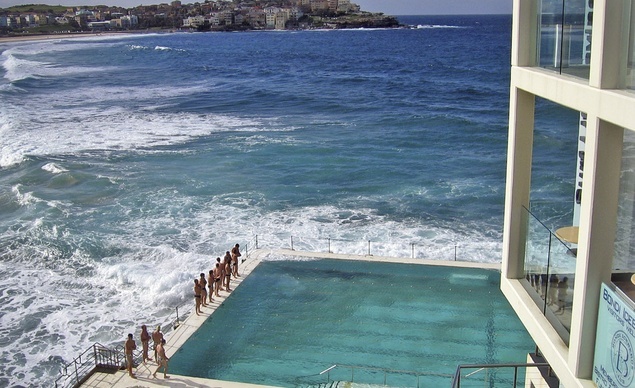 The pool in Bondi at Icebergs , a club is private but it is one of the few. Just saw a great episode of House Hunters International with a young LA. couple buying a place just of the top of Loma Linda. Love reading your thoughts though being in Colorado it would be great to have a reasonable airfare down there. We all wish airfares were more reasonable, Paul, that is for sure!!!! I still want those “beam me up, Scotty” buttons! Glad you enjoyed the post and thank you for sharing your memories and joining us here! Would love to visit some of the Aussie pools. I missed seeing the Leca pools in Lisbon, very surprised you did not include. Another interesting, well written article from Diane. Thank you. Glad you enjoyed it, Karla. I can’t wait to get in that pool! Great article however here is a cautionary tale. It seems meth heads have been using the public facilities for shooting up and a few weeks back I was down there taking pics and got mugged at gunpoint by three guys who wanted my bike. As they were fucked up on meth and v unpredictable they ordered me to jump in the sea. I just walked away and said take it. Wow. I trust you let the police or city officials know? With all the families who frequent the pool that’s the last thing we need. Glad you’re ok. Thanks. I did report it. However even the architect who put it together is aware that crack heads use the toilet . He’s seen them when he used to go for early morning swims. Anyway I think they move on when the crowds come. Keeping public spaces safe and clean is rarely easy, I suppose. Thank you! Yes, Erick (architect) just commented as well. I really liked all your references! Great job. I will soy and study all of them. You did a great job on it. I wish it could be better maintained. Carpa Olivera It’s free a charge and open to the public.